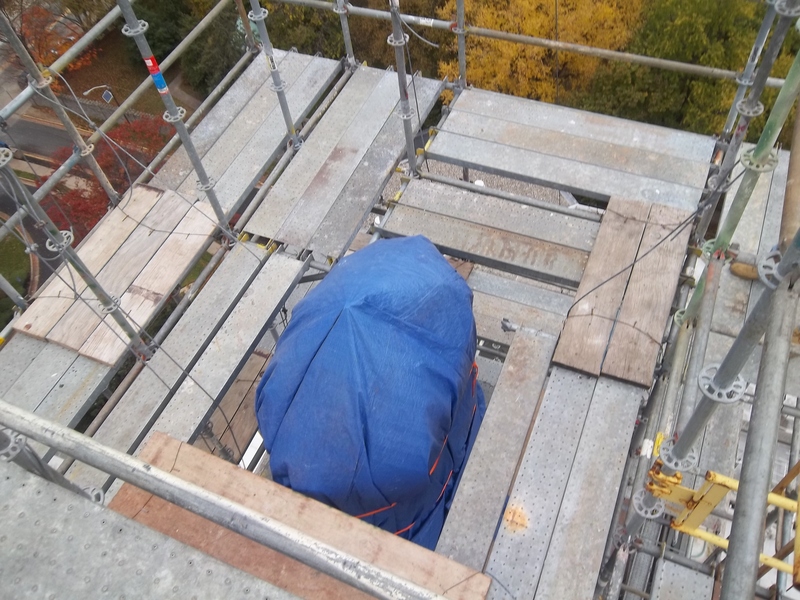 Superior Scaffold was called back to Our Lady of Lourdes to add another level of scaffolding to the existing structure so crews could more easily remove the sections of the statue of the Mother Mary. It has been taken down in sections and sent off for repair. As you know, it was damaged in the earthquake. I’ve compiled a few of the news stories here – including a CBS news clip in which you can see the damage directly after the earthquake and the day before Superior’s emergency response team raced in and secured her in place. 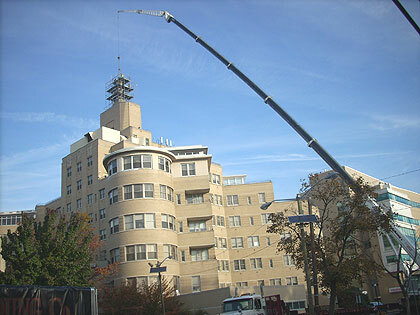 Virgin Mary Statue Atop Lourdes Hospital In Camden Coming Down For Repairs « CBS Philly. 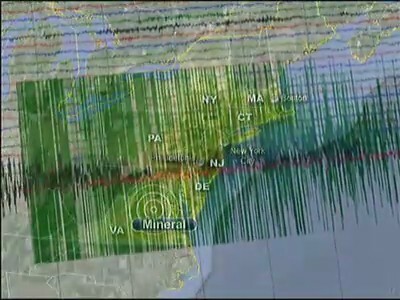 Original Video of the statue directly after the earthquake. 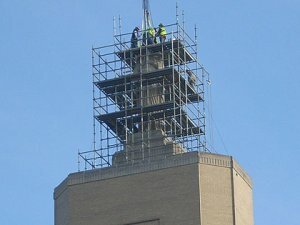 The statue of the Virgin Mary will be restored to her former glory and reinstalled in her proper place. Posted on November 7, 2011, in News & Updates, Rentals, System and tagged catholic, cbs, crane, earthquake, Emergency, lmfao, Medical, Mother Mary, News, NJ, Our Lady of Lourdes, philadelphia, Philly, Rental, Repair, report, reporter, scaffold, scaffolding, Services, story, System, Virgin Mary. Bookmark the permalink. Leave a comment.